In 1983 Gary commenced as a sub contractor for Gliderol Garage Doors installing residential, commercial and industrial roller doors and panel lift doors. In 1997 Gary decided to concentrate on the service and repair side of the roller door industry and hence Advanced Garage Door Servicing was born. Gary has some 32 years of experience and knowledge in the Adelaide roller door industry. 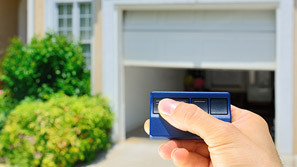 Some competitors do not have the knowledge or expertise in the workings of 20 to 30 year old garage doors and/or automatics. Problem garage doors are Gary’s speciality. Gary provides a friendly same day service (where possible) within the Adelaide metropolitan area from Gawler in the north to Hallett Cove in the south , from Mt Barker in the east to North Haven in the west, or Gary can undertake the servicing and repairs around a day and time that suits you. Gary is an authorised supplier and service technician for Chamberlain Australia Pty Ltd and Gliderol International Pty Ltd.
Why choose Advanced Garage Door Servicing? 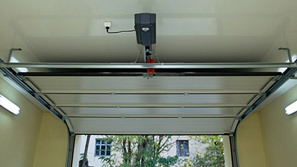 or to automate your manual door, call Gary now on 08 8395 2244 or email us now. Roller Door & Panel Door Service and Repairs. All brands, over 30 years experience, same day service. Call (08) 8395 2244 or complete the form below. Gary, after being told by some of your competitors that our door needs to be replaced as it cannot be fixed, you arrived on time and fixed our "unfixable" door. Thank you so much." All brands, over 30 years experience, same day service.